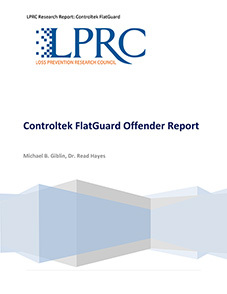 The Loss Prevention Research Council (LPRC) conducted a series of in-person survey interviews at the Gainesville Innovation Lab to better understand offender reactions to the Controltek FlatGuard technology. An LPRC Research Scientist designed all data collection tools and collected data in September 2018. Want to read about the survey interviews conducted by the LPRC? Fill out the form below to download the research report now!